For the second lecture in our series this summer, we are pleased to have a guest speaker, Rev. 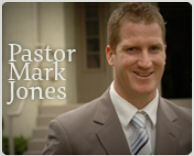 Mark Jones, pastor of Faith Presbyterian Church (PCA), Vancouver, BC. His topic will be “The Puritans: Correcting Some Misconceptions”. Mark recently co-authored (with Joel Beeke) the book A Puritan Theology: Doctrine for Life. The first lecture will be by Rev. Dr. Jack C. Whytock. His topic will be “George Whitefield: The Great Gospel Preacher of the Great Awakening”. When: Monday, July 21st, 7:00 p.m. Admission is by free will donation. All welcome! This entry was posted in Summer Lecture by admin. Bookmark the permalink.